The smart expense and invoice processing that is seamlessly integrated with your back of house business management system. Embrace simplicity and productivity while MYOB Advanced and Expensemanager take care of the rest for you. Expensemanager is a smart platform where businesses can manage all their expenses and suppliers payment processes. 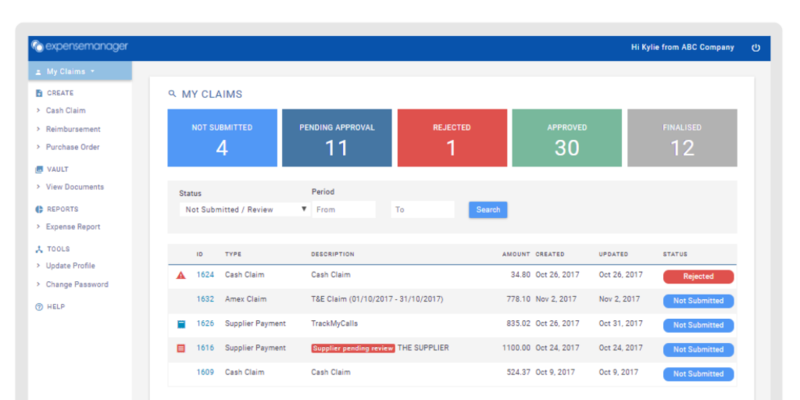 With customisable company policy and workflows plus a beautiful interface, the software has all you need to streamline your expenses, receipts, invoices and purchases processes. The Accounts Payable Module in MYOB Advanced lets you maximise your use of funds by tracking money owed, available discounts, due dates, and cash requirements. All the information are always available on reports that you can access from anywhere using a web browser. 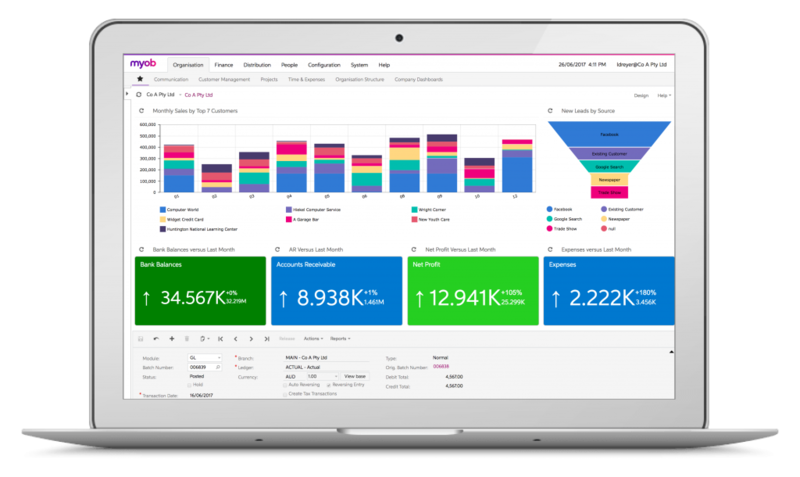 Simply, connect and scale further with MYOB Advanced. Discover how automated Accounts Payable can help your business grow. MYOB Advanced’s supplier payment software allows you to enter prepayment requests, issue prepayments to vendors, and apply prepayments to vendor invoices once they are received. You can assign prepayments to the same GL account as the customer AP balance or designate a dedicated prepayment account. The vendor prepayments balance is kept separate from the regular AP balance in order to maintain deposits as an asset account. Each AP line item can be assigned a deferred expense schedule so you can accurately recognize expenses in the proper reporting period. MYOB Advanced will automatically split the expense between the prepaid expense asset and expense accounts and recognize the expense after running the prepaid expense recognition process. The Accounts Payable software module automatically calculates GST and prepares BAS reports for tax filing and reporting. Each supplier can be assigned a default tax zone which includes the list of the applicable taxes and reporting municipalities for the supplier. This default information can be overridden during the AP invoice entry. Tax calculation options include multiple number of tax items per document line, deduction of tax amount from the price, and tax on tax calculation. MYOB Advanced also supports Withholding tax calculations. Payment Approval Process: AP invoices can be automatically approved for payments or go through a payment approval process so you can prioritize or delay the invoice payment, select the account the invoice should be paid from, and select a method of payment. Once the invoice is approved for the payment you can print the check or issue an electronic payment. Multiple AP Accounts in GL: MYOB Advanced allows you to link different groups of suppliers to different AP accounts in the GL. The default supplier AP account can be overridden during the invoice or Payment entry process. MYOB Advanced automatically tracks which account was selected and offsets the correct account and amount when the payment is applied. Multiple Currencies Support: MYOB Advanced allows you to manage suppliers who issue invoices or accept invoices in a foreign currency by keeping a separate balance for each foreign currency. The system will automatically look up the effective currency rate and calculate the document amounts in your base currency. Currency triangulation and the realized gain/loss calculation is automatically performed by the system. Unrealized gains and losses can be calculated through the AP foreign currency balances revaluation process. 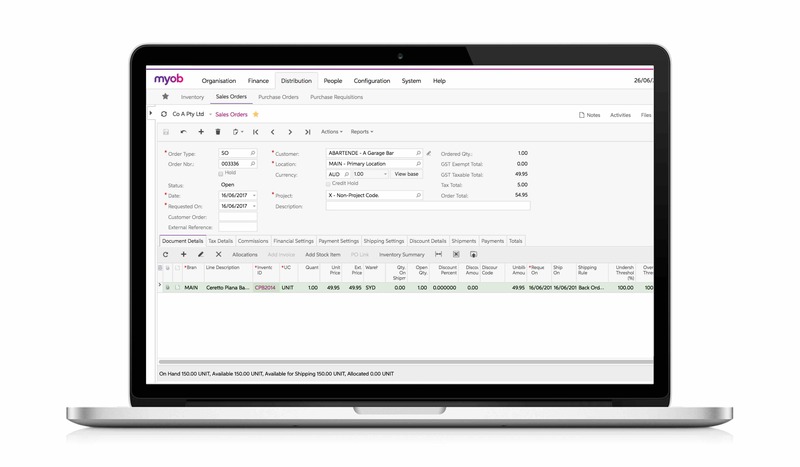 Recurrent AP Documents: MYOB Advanced allows you to create recurring invoices to reduce data entry and reduce potential errors. Set the frequency of the payment as well as the time frame. Once established, recurring invoices will appear in the recurrent transaction processing screen so you can modify and release them. Suppliers Refunds: MYOB Advanced allows you to receive vendor refunds. The Supplier Refund document will debit a cash account and debit an AP Account. You can apply a refund towards a Debit Adjustment or Prepayment document. 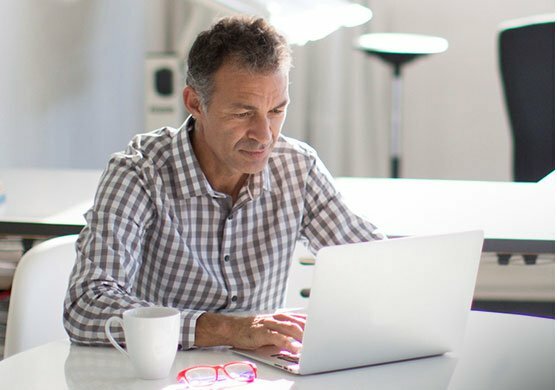 AP Aging Reports: MYOB Advanced allows you to customize your AP aging categories and provides a full set of aging reports for analysing your AP obligations. Aging reports provide total outstanding balances as well as past due accounts to help you analyze your AP, cash requirements, and suppliers performance. MYOB Advanced allows you to specify which individuals and roles can view and modify vendor account information and balances in order to prevent unauthorized account access and restrict sensitive supplier information. Audit Trail: The Accounts Payable module provides a complete audit trail of all customer transactions. After a document is released, you cannot delete or cancel the document – to correct mistakes, you must enter a correcting AP document to reverse the incorrect entry. MYOB Advanced keeps the details of all AP Documents, including the user who entered the transaction and the user who modified the record. The auditing process is simplified by having notes as well as supporting electronic documents attached directly to the transactions. 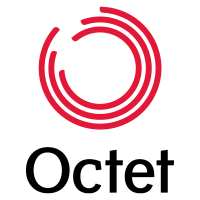 The rapid growth and a need to consolidate its reporting capabilities pushed Octet Finance to adopt a new Cloud-based ERP platform, MYOB Advanced.